It is the mission of Alabama Auto Adjusters, Inc. to serve the financial industry with honesty, quality and integrity in servicing repossessions, and tracing. We Strive to always consider: Honesty, Work Ethic, and Productivity, while maintaining respect for our staff, affiliates, clients, as well as the clients customers. We are committed to providing the outstanding service to all types of lending institutions. Two generations and over 80 years in the Recovery business. Experienced, effective investigation & field work that consistently meets the highest standards of the industry in professionalism, legal compliance, fairness, & courtesy. We offer real time access to account information, comprehensive progress reports, condition reports, pictures, and invoices through our web-based communication and operating system RDN. Timely, descriptive communication with our clients regarding progress on account investigations. Personal service, backed by a national support network of ARA members. Our field agents are Certified Repossession Agents through CARS certification program. Professionally staffed facilities: Corporate financial strength and security, including first-party liability coverage of $3 million on every assignment. Able to handle most bailouts for clients’ impounds, repairs, etc. Our staff has an extensive background in sales with a broad base of dealer contacts statewide. On-line auction facilitazation. One stop of communication, from repossession to sale. A staff that takes pride in servicing each assignment with care and diligence. 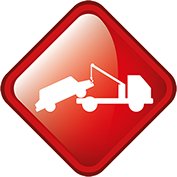 Use of only State of the art "Damage Free Towing" equipment. Forwarding out-of-state accounts only to professional licensed adjusters, normaly only ARA members, where you only deal with one agent. Storage facility monitored 24 hours a to ensure maximum protection of our clients assets, our storage facilities feature high security 10 foot electric fences with solar backup,with internal alarm systems.